Press Release - Belize Fashion Week 2015 – January 20, 2015 - Belize Fashion Week 2015 will be held on July 9 -12 2015 in San Pedro Town, Ambergris Caye, Belize. Our new team will commence their national model search for this Grand event and will feature Belizean models showcasing “one of a kind” made in Belize Fashion collections. Belize Fashion Week also has the participation of international designers and models. This year we are proud to be working with a new team that hopes to strengthen the vision of Belize Fashion Week. Our team consists of Pat Greif (Executive Producer), Carlos Barrientos (Key Make-Up Artist), Arlando Smith (Executive Director), Deli Eiley (Assistant Director), Gerry Badillo (Marketing Director) and Zuzana Mello (Choreography Director). 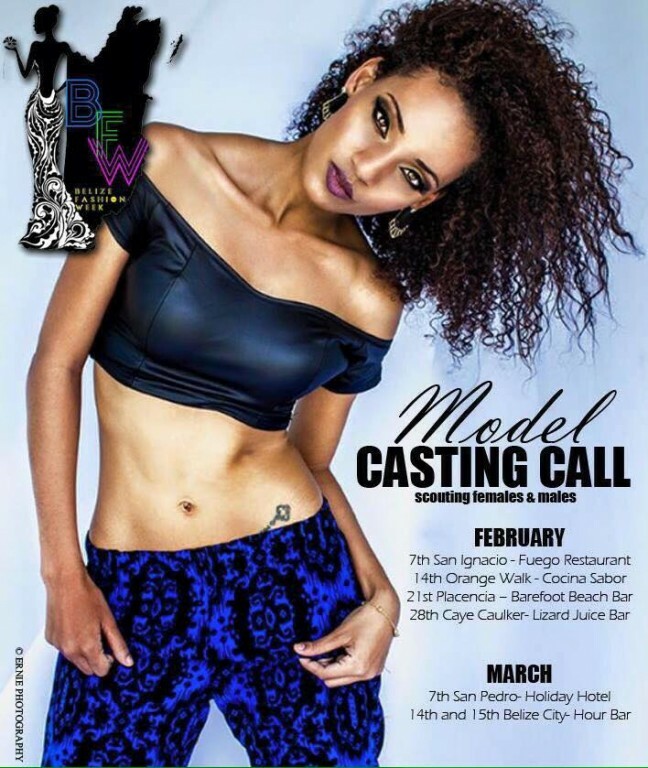 The Belize Fashion Week (BWF) team is proud to announce the official dates for model (female & male) auditions around the country of Belize. Please join us to experience the Third annual Belize Fashion Week and see the authentic Belizean Fashion Designers and jewelry designers. The evening will also feature international designers and models. Participating Designers and show schedule will be announced at a later date. For further information please contact 610-1880 or 625-1003. Another successful Belize Fashion Week! Belize Fashion Week 2013 brings color and creativity to life!